To work in partnership with the school. To promote partnership between the school, pupils, all parents and the wider community. To promote the school’s welcoming ethos among all parents. To develop and engage in activities which support the education and welfare of pupils. To promote and encourage the participation of parents in these activities. To identify and represent the views of parents on the education provided by the school and other matters affecting the welfare of pupils. To participate in the appointment procedures for Head Teacher and Depute Head Teacher appointments. 3. Parent members of Pencaitland Primary School Parent Council must have a child attending the school. 4. The membership will be a minimum of 5 parents of children attending the school. The maximum size is 10, majority of which should be parents of children attending the school. 5. Parent membership of the Pencaitland Primary School Parent Council will be chosen / selected for a period of up to 3 years, after which they may put themselves forward for re-selection if they wish. Two or three years would be the standard period of office, although one year periods of office may become available under particular circumstances. 6. Any parent with a child at the school can volunteer to be a member of Pencaitland Primary School Parent Council. 7. In the event that the number of volunteers is greater than the number of places as stated in the constitution, members of the Pencaitland Primary School Parent Council will be selected randomly by drawing names out of a hat at a Parent Council meeting. 8. Anyone not selected to the Pencaitland Primary School Parent Council may be offered the opportunity to be part of a sub-group set up by the Pencaitland Primary School Parent Council. 9. The Pencaitland Primary School Parent Council may co-opt members to assist with carrying out its functions. The number of parent members must always be greater than the number of co-opted members. 10. Co-opted members may include representation from teaching and support staff at the school, local councillors, pupils, community leaders and others. Ideally, the Pencaitland Primary School Parent Council will have one Community member, one Teacher member and one Head Teacher member. Where practical, The Pencaitland Primary School Parent Council should seek to maintain links with the Pencaitland Primary School Parent Teachers Association and the Pencaitland Community Council through its membership. 11. 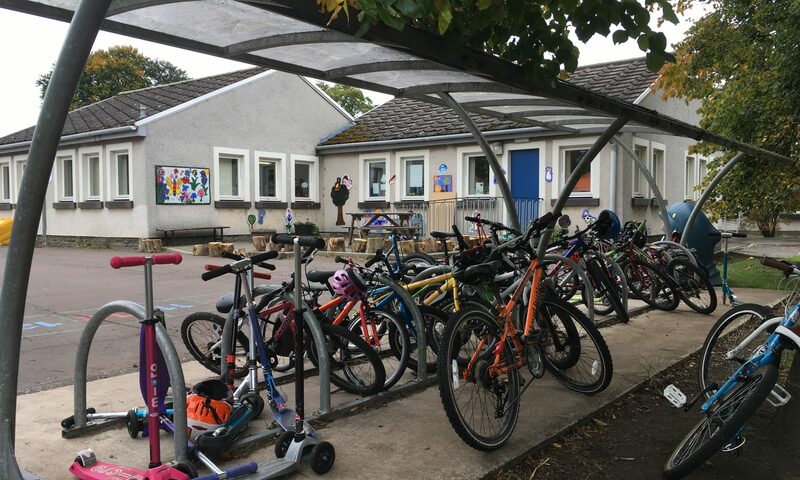 Co-opted members will serve for a period of 1 year, after which time the Pencaitland Primary School Parent Council will review and consider requirements for co-opted membership. The requirement for co-opted members will be reviewed by Pencaitland Primary School Parent Council on an annual basis. 12. If the Pencaitland Primary School Parent Council chooses to set up sub groups, each sub group should involve a member of the Pencaitland Primary School Parent Council. Other members of the Parent Forum and the school community may be co-opted onto sub groups. Sub groups will last as long as required to carry out their tasks. Membership should be reviewed annually. The sub group members will be responsible for liaising with the Pencaitland Primary School Parent Council. 13. Should a member of Pencaitland Primary School Parent Council act in a way that is considered by other members of the Pencaitland Primary School Parent Council to undermine its objectives, their membership of the Pencaitland Primary School Parent Council shall be terminated if the majority of the members agree. Termination of membership would be confirmed in writing to the member within ten working days of the decision being taken. 14. The Chair and other office bearers of the Pencaitland Primary School Parent Council will be agreed by the members of the Pencaitland Primary School Parent Council immediately following its formation. Office bearers will be re-selected by the Pencaitland Primary School Parent Council on an annual basis. 15. The Chair of the Pencaitland Primary School Parent Council will be a parent of a child attending Pencaitland Primary School. If the child ceases to be a pupil, a new Chair will be agreed at the next meeting of the Pencaitland Primary School Parent Council. 16. The Pencaitland Primary School Parent Council is accountable to the Parent Forum of Pencaitland Primary School and will make a report to it at least once each year on its activities on behalf of all the parents. 17. Where practical, one parent member shall be appointed to represent each class/year group. Ideally, the parent appointed to a class/year group will have a child in that class/year group. Where this is not possible, any parent member of the Pencaitland Primary School Parent Council may be assigned to represent that class/year group. 18. The Pencaitland Primary School Parent Council will appoint a person to be Clerk and who may, unless s/he is a member of the Pencaitland Primary School Parent Council be paid for his/her services. 19. If 25 members of the Parent Forum request a special general meeting to discuss issues within the Pencaitland Primary School Parent Council remit, the Pencaitland Primary School Parent Council shall arrange this. They will give notice of the meeting to members of the Parent Forum at least two weeks in advance of the meeting and, at the same time, circulate notice of the matter or matters to be discussed at the meeting. 20. Copies of minutes of all meetings will be available to all parents of children at Pencaitland Primary School and to all members of staff at the school. Copies will be available from the Clerk to the Pencaitland Primary School Parent Council and from the school office. 21. Meetings of the Pencaitland Primary School Parent Council shall be open to the public, unless the Pencaitland Primary School Parent Council is discussing an issue which it considers should be dealt with on a confidential basis. In such circumstances, only members of Pencaitland Primary School Parent Council, the headteacher or their representative, and anyone specifically invited to the meeting such as the Director of Education and Children’s Services, or his/her representative, can attend. 22. The quorum of Pencaitland Primary School Parent Council shall be not less than 50% of its members including either the Chair or Vice Chair and proceedings shall not be invalidated by any vacancy in the membership. a. An Annual Report on the work of the Pencaitland Primary School Parent Council and its sub groups. b. Selection of any new Pencaitland Primary School Parent Council members. c. Discussion of issues that members of the Parent Forum may wish to raise. 24. The Pencaitland Primary School Parent Council will meet at least 5 times in each academic year. 25. Should a vote be necessary to make a decision, each parent member, the staff representative member and any co-opted members at the meeting will have one vote, with the Chair having a casting vote in the event of a tie. 26. Any two members of the Pencaitland Primary School Parent Council can request that an additional meeting be held, and all members of the Pencaitland Primary School Parent Council will be given at least one week’s notice of the date, time and place of the meeting. 27. The Chair will be responsible for the Pencaitland Primary School Parent Council budget and will provide a full account in the Annual Report. 28. The Chair may request a Treasurer be appointed to carry out this task. The Treasurer will be a member of the Pencaitland Primary School Parent Council and will be agreed by members of the Pencaitland Primary School Parent Council. 29. The Pencaitland Primary School Parent Council shall be responsible for ensuring that all monies are used in accordance with the objectives of the Pencaitland Primary School Parent Council. 30. The Pencaitland Primary School Parent Council may alter its constitution after obtaining consent from members of the Parent Forum. Members of the Parent Forum will be sent a copy of the proposed amendment and given reasonable time to respond to the proposal. 31. Copies of the amended constitution will be lodged with the Authority and Head Teacher. 32. Should the Pencaitland Primary School Parent Council cease to exist, any remaining property will be passed to the Education Authority to be used for the benefit of the school. If the school is amalgamating, the funds will be passed to the school or schools which pupils will attend.